Jean-Claude Flornoy's Dodal restoration is based upon the only two surviving decks from Dodal's workshop; one kept in Bibliotèque Nationale in Paris, another in a British Museum. A closer study convinced him, that they both are printed from the same blocks. The declared purpose of the restoration was to get back as close to the original deck as possible therefore Flornoy doesn't make any alteration to these decks, apart from removing the effects and damage of natural aging. Lines that are frequently broken or apparently missing weren't completed or added. 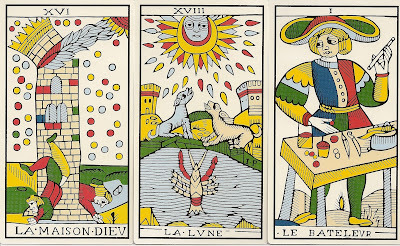 For example in “LE FOL”, there's no line to define the Fool's left buttock, the 9 of wands appears to have one too many caps or heads on the wands, while the 8 of swords has one too few. 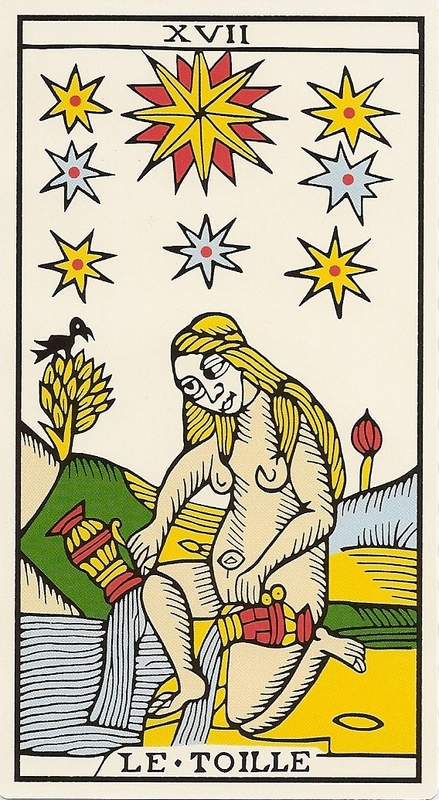 In the booklet that accompanies the Dodal deck, Jean-Claude Flornoy himself, for example, suggests that the figure to the right in “LE SOLEIL” was intentionally drawn one-eyed, in order to symbolize the relationship of student to master. In “LA MAISON DIEV”, there's a gap in the line defining the cranium of the tumbling figure to the left. Flornoy suggests that this was intentional, a symbol of the “opening” of the mind to cosmic energies. There are also some oddities in the titles of the cards that weren't corrected: “LA PAPESSE” is labeled “LA PANCES” in the Dodal deck. “L'AMOUREUX” is “LA MOVREV,” “L'ETOILE” is spelled “LE TOILLE”. 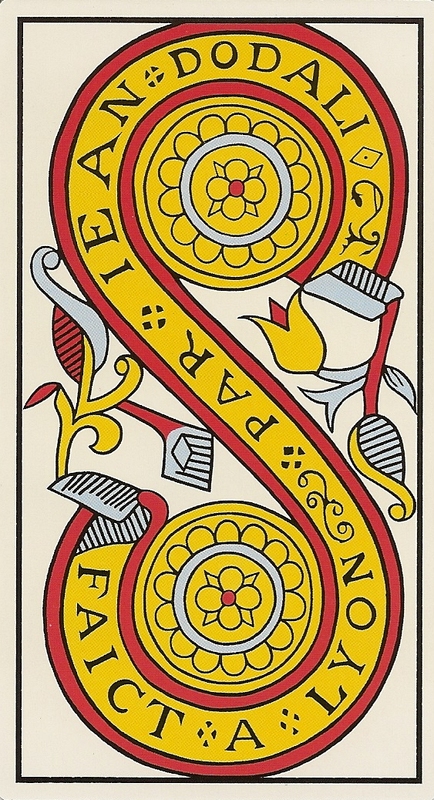 Several of the cards have the inscription `F.P.LE-TRANCE' (fait pour l'etranger) or `made for export'. 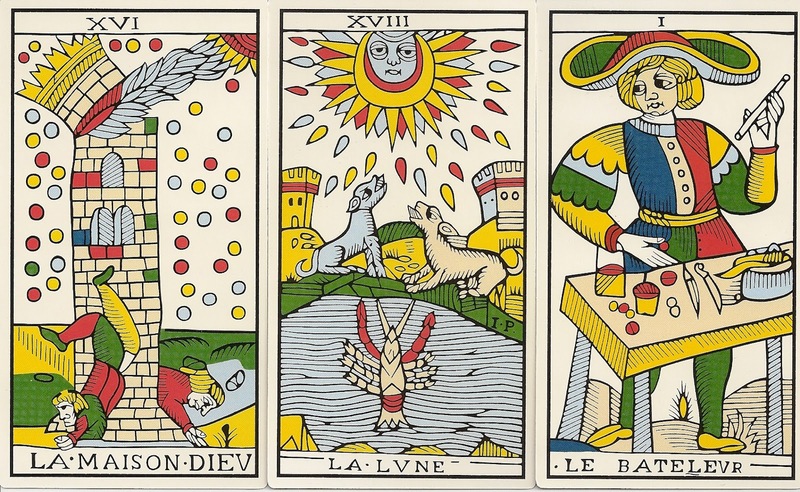 The cards are large, 132x72 mm, and are printed on quality playing card board (in Bibliotéque Nationale's catalogue the size of the original cards is given as 123x66 mm). The Two of Coins declares the deck published by I.Dodali in Lyon, but bears no date. Initials, traditionally those of the engraver, are usually printed on the Chariots shield but are absent on this deck. The booklet accompanying the deck is in English and French and gives additional information on the history of card-making.